The DCFemTech Awards will recognize Power Women Programmers & Designers based in the Washington, DC region. We'll congratulate women who are working in the trenches of tech & design to help their company or organization achieve success, sometimes entirely behind the scenes. 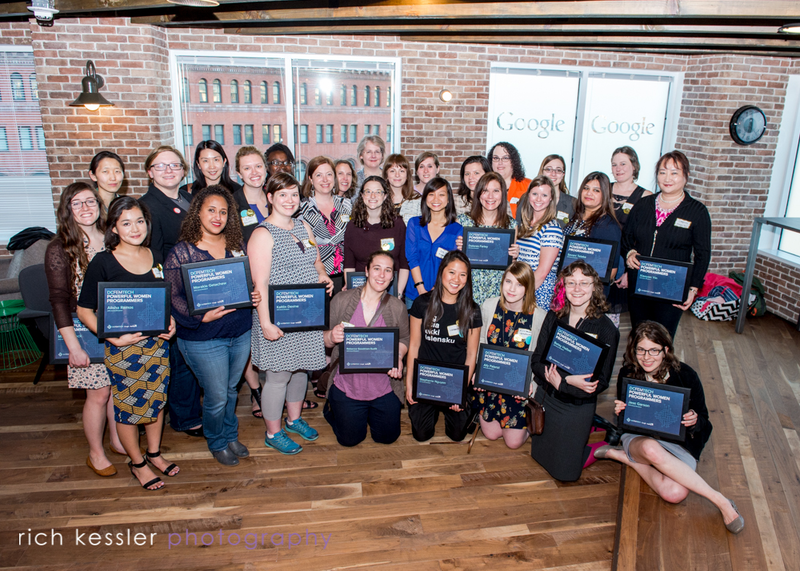 DCFemTech opened the call for nominations for outstanding women programmers/engineers and designers based in the DC region on February 24, 2016 and received 190 submissions. The awards were expanded to include a design category for 2016 as a result of the overwhelming response in 2015. Nominations were down selected by a committee made up of twelve women programmers, engineers, designers and executives for each category. This year’s programmer recipients were chosen based on: Impact on organization (helped company/non-profit grow & achieve goals); Complexity of issues addressed with code (building a webpage vs. a complex system); Impact on community (contributed to broader tech/women in tech community or open source contributions). The design recipients were selected based on similar criteria: Impact on organization (helped company/non-profit grow & achieve goals); Complexity of issues addressed with design (designing a platform that provides a great user experience vs. one page website); and Impact on community (contributed to broader tech/women in tech community or open source contributions).